Across the world, a youthful flame of revolution has engulfed leaders, governments and the very notion of modern Westphalian order. In an extended essay, Daniil Kotsyubinsky wonders if the logical next phase of history is regionalism, and starting with his own native Russia. At first glance, there would seem to be little in common between the Arab Spring, the Occupy Movement, the Russian movement ‘For Fair Elections’, the resurgence of the Left on the streets of Germany and during elections in France, the revival of separatism in Scotland, Catalonia and some U.S. states, and other recent protests in various parts of the world. Nevertheless, it feels like we are at the beginning of something. But what? And how will it end? To answer both of these questions we have to begin understand the common reason for this synchronised, global reawakening of the spirit of revolution. The doorkeepers say: ‘Let us go and plunder.’ The confectioners and the laundry men refuse to do their work. The bird-catchers and enamellers have formed themselves into battle lines. A man regards his son as an enemy. The tribes of the desert have become Egyptians everywhere….noblemen are in distress, while the poor man is full of joy. Every town says ‘Let us attack the powerful.’ Men have become like birds seeking carrion. The key element in this apocalyptic list is not conflict between the rich and the poor, nor the inundation of an ancient culture by barbarians. It's not even the treachery of the police, joining forces with the bird-catchers and enamellers. It is the inference that a huge fissure in society born out of a conflict between fathers and sons. A man regards his son as an enemy. It is this that destroys socio-economic systems, which hitherto have seemed immutable. ‘Our hearts demand change!’ was a 1986 perestroika-era slogan first sung by the cult rock singer, Viktor Tsoi. When this piercing cry comes from the lips of youth, change happens. It is irreversible and radical: maybe not always terrible or bloody, but irresistible and permanent. Recent history, since the end of World War I in 1918, has seen very regular cycles, each lasting 21-23 years. World War II started in 1939, 21 years later, and 21-23 years after it ended in 1945 a youth revolt started, which peaked in 1968 and radically changed people's mindset once again. Then, after precisely the same length of time, in 1989-1991, perestroika reached its peak, the Berlin Wall fell, the USSR collapsed and the old bipolar world came to an end. If this is really is a chronological law, then the next revolution is due in 2012, with its peak in 2014. The idea of progress, the universal religion of the masses in the 20th century, develops in a very similar way to bipolar disorder, historically known as manic-depression. And just as manic symptoms differ in different people, so societies can experience different kinds of disturbance: reforms, wars, revolutions - social, political and sexual. But they all spring from an easy and spontaneous belief in the possibility of global change and the final establishment of a just world order. Periods of depression and stagnation also have a great deal in common. During periods of stagnation during the 20th century, people in those countries where there was still freedom of speech voiced the same criticisms. They accused the System of ignoring the interests of the individual, of totalitarian repression and social alienation. Commentators on these periods are agreed that it is total lies and total force (whether direct or indirect - through money) that rob people of their spiritual freedom, turning them into meaningless and false social ciphers determined only by the material world. A period of depressed ‘conceptual muttering’ is always followed by a short explosion of revolutionary ‘mania’, which happens every 21-23 years – no more and no less. Why? The answer is clear. Every 21-23 years another ‘universal generation’ that has grown up in a period of grey stability — with its age-old psychological encumbrances of economic slavery, spiritual emptiness, political hypocrisy, informational trash etc — comes of age. The children of stagnation are not only not afraid of radical change, they long for it with a passion and are encouraged to do so by their parents, whose false pragmatism and strained optimism masks an inner anxiety and deep dissatisfaction with reality – they, after all, have had to come to terms with the fact that the revolutions that coincided with their youth did not create a just world. When the children of stagnation come of age, they get fired up and quickly set their society alight. It happens quickly enough, as the irritation that has built up during the period of post-euphoric stagnant depression is highly inflammable. Lasn has been publishing the Vancouver-based anti-consumerist magazine Adbusters for 22 years, since the last wind of change, Soviet Perestroika. All this time Lasn and his associates have been fanning the flames of a new international fire and aiming them against the society of total consumerism. But the Adbusters’ hour only came in the autumn of 2011, when a new generation of bored social rebels had grown up. The problem of ‘consumer totalitarianism’ may have been acute for some years, but history waited the predetermined 21-23 years. The revolutionary upsurge of 2011-12 seems to have been a surprise, even to Kalle Lasn. We should not have been suprised. The characteristic feature of a dawning revolutionary period is that until the last moment there is no indication of an imminent cataclysm. My colleagues, however, remained unmoved by my predictions, treating them as yet another example of non evidence-based futurology. Like any theory, this generational formula needs adjusting and refining. Different countries play different roles in the global cyclical process. There are leaders, who are different each time, and there are followers. Sometimes, like in a bicycle race, leaders change during the event, and sometimes even the route changes. Nevertheless the fact remains that every 21-23 years something happens in the modern world and the merry-go-round of history gives a quick lurch and executes an ideological shift. The revolution of 1968 couldn't win out everywhere. The Iron Curtain and the suppression of the Prague Spring prevented the rock-n-roll wind of the 1960s storming into the communist world and reforming it. As a result, the ‘60s generation’ in these countries, unable to implement their own agenda of freedom, democracy and peace throughout the world, simply passed the baton on to their children. Gorbachev’s Perestroika, his ‘new thinking’ and the end of cold war were essentially an extended remake of 1968 from the east. Only this time the protesters more or less disassociated themselves from the Marxist-Socialist language that was totally discredited in the countries of the Eastern bloc. Instead, democratic protest actively embraced the ideas of the neoliberal school of economic thought. The appearance of this overly naive and questionable theory is not surprising at all; there are other futurological theories that are even more exotic. What is really surprising is that world public opinion accepted Fukuyama's conclusions as axiomatic. Contrary to Fukuyama's prediction, and in line with the expectations of a global society tired of the political cataclysms of the 20th century, the triumph of the ideology of freedom didn't mean ‘the end of history’ at all. On the contrary, history started looking inwards. The first outcome was the permanent erosion of the world order based on the old system of nation states. However, such ideological ‘green shoots’ were not the focus of world public opinion at that point. They were completely eclipsed by the spectacular scenes of the final act of the 20th century: totalitarianism defeated without a fight, democracy and freedom triumphant on its ruins, and the end of USSR-USA nuclear confrontation. Perestroika successfully produced a wide-screen remake of 1968 and the world, also in widescreen format, slid into Western-style post-modern self-consciousness and ideological stagnation. The 1960s humanitarian project exhausted itself for the second and last time and in these conditions the lack of any new, positive ideas was felt ever more acutely. Europe tried to fill this ideological vacuum with the cult of a golden calf called the Euro. The countries of the fortunate North also encountered a number of ongoing problems that could essentially neither be described nor solved within the liberal-national paradigm of the 'end of history.' Among these pressing problems were the never-ending flood of migrants moving northwards, the need to reduce social welfare standards in the developed world so as to remain competitive with ‘third-world’ states, and an unconscionable number of flash-points that caused appalling headaches for the whole world. In this context, the inability of social, mainly Western, thought to come up with a new paradigm that would address the key challenges of the 21st century seems all the stranger. Even 9/11 had no effect on this passive-reflective intellectual vector. However, what bloodthirsty Al-Qaida suicide bombers couldn’t do was achieved by time, easily and with no blood spilt. The next generation cycle came to an end and a new radical, global protest sprang up in the very heart of the liberal world, in Manhattan, New York City. It came from within American society and Western society as a whole. The end of history had reached its conclusion. It is fairly commonplace for activists of the Occupy Movement, and many commentators as well, to attribute the upsurge of protest activity to the state of the economy, rather than the cyclical laws of modern history. Typically, graphs of income distributions will be produced in an attempt to link the recent activity to an increase in the annual income of the richest 1% of the population. On closer examination, we see that this attempt to explain the protests by using the Gini coefficient and other economic indices is less than convincing. The last decile peak (when the rich became richer and the poor, poorer) was in 1928 during the Great Depression; at that time there were only a few protests. The opposite is also true: in 1968, a peak period for protest, the super-rich had the lowest relative annual income of the century. When ‘Occupy Wall Street’ started, it received almost universal and instant support. The USA saw the birth of more than 600 ‘communities’, which took the New York General Assembly (GANYC) as a model for their self-governing body. The movement’s symbols and slogans were everywhere, from graffiti on the walls of buildings to the internet. In November, the NYPD destroyed the protesters’ tent camp in Manhattan’s Zucotti Park, but the movement itself continued to evolve and spread. According to media statistics, over 40% of US citizens sympathise with the protests: CBS news/New York Times figures show that only 27% do not approve. According to Time Magazine, over 50% regard the protesters’ activities positively and only 23% negatively. And of course it is not only in the US that the public is becoming more radicalized. However, when the action started, it was immediately apparent that there was no hint of an agenda for the New America. On 20 September, three days after the beginning of the Zucotti Park protest, White and Lasn came up with a Manifesto in the form of a petition addressed to President Obama. The choice of genre itself suggested a desire to negotiate with the ‘head of the system’ for concessions, rather than a challenge to the system itself. Wall Street Journal columnist James Taranto, pointing out that the protesters had no project as such and were only presenting the System with an expanded list of traditional left-wing demands, described the movement as ‘The Left’s Nervous Breakdown’, brought on by the failure of Barack Obama’s social policies. And this indeed seems to be the case. There is nothing new among the topics discussed by the Occupy campaigners: they are simply more of the same, the usual left-wing demands. Take, for example, the idea of a Robin Hood tax, to be levied on bank transactions, which was already being discussed in the 1970s. Or the proposal to revive the 1933 Glass-Steagall act, which banned involvement by banks in commercial activities and introducing compulsory insurance for investments, but was abolished in 1999. The only relatively new idea was the abolition of ‘corporate personhood’, which increases the scope for corporations to defend their interests in court. But this one project alone can hardly be considered the agenda for a New America. At the beginning of the protest campaign there was an expectation that the spontaneous movement of the masses would throw up a new brilliant idea, rather like a Deus ex machina. Protesters were asked to put forward one single demand: since then there have been many proposals, most of them socio-economic, and a few impressive slogans, such as ‘We are the 99%’. But even now there is still no one united demand. Kalle Lasn acknowledges that conceptually, the Occupy movement is stuck in the paradigm of 1968. But the 1968 horse is old, both physically and morally. It has stumbled too often and, failing to clear the hurdle of ‘global consumerism’, never attained the ‘interests of the majority’, ‘free creative personality’ and ‘peace throughout the world.’ These days the old horse no longer stamps its hooves or gallops; it just neighs quietly about changes in taxation policies and the redistribution of income. This doesn’t mean that the current protest is destined to be just a castrated version of a past project, where the only parts that have survived are those that don’t challenge the system in any serious way. Why not? In a word, the language and ideas of the Occupy movement can be best described as anarchism – in the widest, non-doctrinaire sense of the word. Of course the campaigners are not exclusively anarchists, but the radical protest against the establishment and the wish to take over neighbourhoods and organize them along the lines of direct democracy are all features of classical anarchy. In this sense, the Occupy campaigners are all de facto anarchists. In criticising the state, the original anarchists were not challenging governmental power per se, but only authoritarianism. Their goal was not to abolish authority as such, but to create a model of government that would be as close to people as possible. Replace the word ‘state’ with ‘corporations and corrupt authorities’ and it becomes clear that both the Occupy WS declaration and the movement’s concrete actions are calling for the same thing as the rebellious Prince Kropotkin was 100 years ago, i.e. the creation of ‘thousands of population centres operating on the basis of free agreement and personal and group initiative’. While Kropotkin was talking about free cities or, in modern parlance, regional states, Occupy is talking about taking over public space, islands inside cities, as it were. Today’s anarchists don’t waste time thinking about the economy and sustainable development of their communes, because that’s not what they want. The aim of their direct democracy game is not to develop an alternative political model, but to ‘make their voices heard’ by the bosses. Why don’t the Occupy anarchists have an anarchist political plan of their own? Why do they prefer emotional slogans and long letters to Obama to a conceptual challenge to the paradigm of national statehood? Except that this is not the case. At the end of the last century, politicians and political scientists drew attention to the fact that faced with globalization, nation states were entering a period of systemic crisis and inevitable imminent decadence. 6. Regions vs. states: the main collision of the 21st century? A number of forecasts in the 1990s predicted the demise of the nation state. In 1995, Kenichi Ohmae published a book called The End of the Nation State.The Rise of Regional Economies, in which he predicted the creation in its place of ‘regional states’ which would destroy the power of capital cities. Riccardo Petrella posited that by the mid 21st century nation states such as Germany, Italy, USA and Japan would no longer be discrete socio-economic structures and political configurations. Instead, regions such as Orange County in California, Osaka in Japan, the Lyons region in France and the Ruhr in Germany will achieve dominant socio-economic statuses (Foreign Policy, Fall 1999, p. 44). The idea of progressive globalization and the intrusion of international trends into the organism of modern states also brought Wolfgang H. Reinecke to the conclusion in 1997 that the nation state would soon become a functionally useless anachronism. These alarmist forecasts have to some extent come true and to some extent have not come true. On the one hand, nation states have proved rather more stable and flexible than expected, and fully adaptable to globalization. They achieved this mainly through membership of various super- and trans-national structures, but also through partial regionalization, or ‘devolution.’ The build-up of international tension, which to some extent revivied ‘cold war’ archetypes, also enabled nation states to continue as power players at the beginning of the 21st century. Key contributory factors were the rapid rise of militant Islam and China’s very clearly stated goal of becoming Superstate No. 2. Another way the nation state managed to preserve itself was by quietly capitulating in the face of transnational financial capital. This was particularly evident during the 2008-9 crisis, which saw the sacrifice of some of the holy cows of neoliberalism, such as when the treasuries of the biggest nation states released funds to bail out banks and corporations. The era of globalization has demonstrated that the taller the state skyscraper, the less it reacts to the movements of the ‘social microbes’ that are its citizens, and the more it depends on the global winds that blow around its highest point. No voice from the ground can make itself heard at the top of such a skyscraper. The other side of this logic is that the more small-scale, ‘one-storey’ states there are, the better our chances of emerging from the destructive phase of anarchic fluctuations, and the lesser the chances of coincident enrichment of a super-minority and the erosion of the middle class. The European Union offers a shining example of fast-developing ‘gloсalization ‘[globalization/localization]. Here transnational integration takes place against a background of the regionalization (devolution) of nation states. Indeed, from the very inception of the EU, ‘regional’ has been in competition with ‘national’ discourse and has gradually become the stronger of the two. For example, at the end of 2011 the subject of an independent state of Padania in Northern Italy (advocated by La Liga del Nord) once more raised its head. Discussions on the division of Belgium into Flanders and Wallonia are ongoing; the secession of Corsica, the Basque Country and Northern Ireland from their national states is also theoretically on the cards; while a few years ago Catalans officially proclaimed themselves a nation, as had Quebecois Canadians not long before. More recently, a sudden deterioration in Spain’s economy led the Catalan government to announce its intention of organizing a referendum on independence, despite the fact that current Spanish legislation has no provision for granting this right to the regions. Montenegro and Kosovo are two one-storey states that appeared on the map of Europe at the beginning of the 21st century. The Scottish nationalists have scheduled a referendum on sovereignty for 2014. The wind of permanent devolution is blowing on the other side of the Atlantic too. The Alaskan Independence Party has existed for several decades and one of its members was elected state governor in 1990. There is a movement for the independence of Hawaii, and Native Americans have similar intentions. The most outstanding drive towards regionalism, however, is in Texas, where the subject of secession is permanently on the agenda and not just for a few people on the margins, but in the minds of many. Their slogan ‘Don’t mess with Texas!’ has become the de facto state motto. The main issue with Washington is the very heavy tax burden borne by the 25 million citizens of Texas, which is one of America’s most economically developed states. But Texans are also concerned with the direction of central government policy. The fact that simple opposition has developed into a discussion of secession is evidence that the state is beginning to implode. This became particularly apparent after Barack Obama’s second victory, in the 2012 presidential election. Many regions of the Federation embarked on a massive campaign to collect signatures to a letter demanding the right to secession of certain states. Over 700,000 people signed: 7 southern states collected enough signatures to guarantee them an official response from the President. This event should clearly be recognized as symptomatic. It is, of course, no accident that anarchism and separatism have come to the forefront of American politics, and this cannot be explained by a simple disagreement over White House fiscal plans, which is how the media choose to regard it. There have been several examples of this kind of dissatisfaction in the US, but mass secession as a response to an unpopular Washington fiscal policy is a first. States that have signed include traditional bastions of both Democrats (New York) and Republicans (Texas). This cannot be a surprise: as long as the System fails to try and make any sense of the idea of radically decentralizing the government of America, the protesters will proclaim their Agenda over the heads of the establishment, and across all traditional party lines and matrices. The result is the anarchism of the Occupy Wall Street movement, when in spite of their very different ideologies, right-wing would-be separatists attacking President Obama actually ended up taking the same route as left-wing Occupy activists. Could it, therefore, be that we are witnessing the US protest movement acquiring a common foundation, be they anarchists or regionalists? Canada, the US’s northern neighbour, also appears to be entering a zone of constitutional turbulence. Francophone Quebec is once more talking about its separatist plans. The Quebecois are carefully monitoring the development of Scottish separatism. If Scotland secedes from Great Britain in 2014 and Great Britain disappears from the political arena as a G8 member it may trigger the domino effect, since the secession of Quebec would scupper Canada’s place in the G8 as well. The modern map of the world is dotted with the bleeding sores of inter-ethnic and territorial conflicts. The origins of the conflict are invariably the same: communities no longer wish to live within the borders of a nation state dominated by another, bigger, community. Over the last 25 years, millions of people have died in Africa alone as a result of inter-nation and inter-tribe conflicts. 40% of borders between African states are drawn along lines of latitude and longitude, and another 30% are straight or curved lines. In other words, these were incisions made through living communities, without their consent, and they are still bleeding. Blood is flowing constantly, of course, and not only in Africa. The fight for regional independence goes on in the large countries of Asia – China, India, Indonesia, as well as in medium size states such as Pakistan, Malaysia and Thailand. Even small Sri Lanka, where Tamil separatists have been fighting for their independence since 1983, has lost up to 300,000 people. The appalling list goes on and on, without any apparent end in sight. Armed separatist conflicts are not only dangerous because they cause death and suffering to millions of people. It is these struggles of territorial minorities for independence that creates the media chimera of ‘international terrorism.’ A study of the facts reveals that there is no fatal conflict between North and South, Islam and Christianity or barbarians and civilization. There is simply a chain of unresolved localized separatist conflicts. In recent times it is only Kosovar separatists who have succeeded in achieving recognition of the independence which they had declared unilaterally, and this has been officially pronounced a strict exception to the rule. Why it should be lawful for Koasovars, but not for Chechens, Kurd, Tamil and Basque separatists, or indeed those of Somalia, Congo, Transnistria, Abkhazia or South Ossetia, remains unclear. There has been no change in either realpolitik or political thought. Ariadne’s thread has been lost…. 8. What stands in the way of a new idea being born? The irrational fear engendered in the international community by national and territorial minorities when they choose the ‘chaos’ of self-determinaton is in fact easy to overcome. It simply has to be looked at in the context of historical rationality, rather than an emotional take on the immediate situation. We should not forget the panic experienced by the Establishment of various countries during 18th-20th centuries as ideologies such as liberalism, anti-clericalism, democracy, socialism, nationalism and communism unfolded tempestuously before them. The prospect of worldwide popular uprisings resulting from these ideologies was very frightening and the fear turned out to be not entirely unjustified, since they did indeed bring about a global awakening of humanity that ended in a series of world cataclysms. If Marxism, which initially presupposed radical social violence, could be liberalized, then why should it not be possible to find a socially-acceptable type of separatism, in which armed resistance is the extreme, rather than mandatory, form of action? Unlike traditional state and ethnic nationalism, regionalism does not seek territorial expansion. Any region has clear historically-based borders that cannot be expanded, as a man cannot be expanded out of his body. For this reason, any talk of creating a viable ideology of regionalism can only be valid if the concept is divorced from any ethnocratic or big-power variations on the ideas of national liberation, which will inevitably conflict with the principles of freedom and democracy. So, we have several political realities to work with, which, although not in any way ideologically or politically interconnected, are being increasingly propelled towards each other by life itself. First, the next generation of rebels has come to maturity and the world is embarking on a phase of global ideological and political renewal. Second, the ideological basis for modern protest is anarchism, at whose core lies harsh criticism of the nation state as an institution divorced from its citizens and communities and maintained as the instrument of a mega-bureaucracy and the corporations. Third, modern nation states are vulnerable when confronted with globalization because they sacrifice the interests of society to the interests of corporations. Fourth, the inevitable separatist conflicts of many modern nation states are a source of international instability, resulting in the migration of refugees from South to North. Fifth, the time has come to review the current, archaic and unfair borders of the nation states, which are a cause of conflict, and which are being replaced by self-regulated regional communities. The main conflict of the 21st century is between the imperialism of nation states and regionalism. Imperialism is still strong, but morally broken. Regionalism is potentially unbeatable, but still divided and, more importantly, lacking self-consciousness. However, there are grounds for thinking that the global separatism of the 21st century will acquire an ideological framework and enable the phase of spontaneous development to morph into a universal political project. It’s only a matter of time. Will it happen sooner or later? Might also be the current pregnancy, whose main symptoms are international revolution in the shape of the Arab Spring and the Occupy movement, end in a stillbirth, with no global outcome at all? 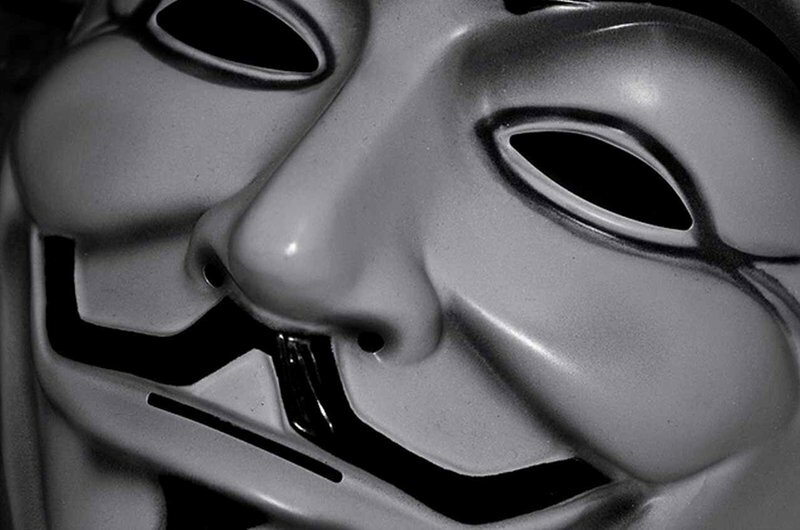 In this case, the System will preserve its main parameters, while the protest will not reveal its real face and will continue to hide behind the anonymity of a Guy Fawkes mask. But if politics does not go forward in step with history, then history has no choice but to advance without politics. Neither the material success of Wall Street nor the ideological impotence of the Occupy Movement can stop the wheel of history. Affirming the local dignity of historically self-sufficient regions could be an effective counterbalance to the egoism of the self-sufficient establishment and transnational capital. Inter-regional solidarity consolidated by institutions will, in the end, transform local weaknesses into global power. At that point, regional states will act as the building blocks for an new international building, capable of living in political harmony and financial and economic stability. 9. Secessionism as the ‘new Russian Idea’? It is quite possible that Russia will be the country to give the world its definitive separatist impetus in the 21st century. If that is the case, then for the third time in a hundred years Russia would provide the ‘fork in the road’, changing the trajectory of world history. Apart from the encumbrances of international politics that were Russia’s legacy from the USSR and the Russian Empire, the Russian Federation also inherited the internal contradictions that twice in the 20th century – in 1917 and 1991 – led to the collapse of the Russian state. The most serious of these ‘hereditary disorders’ is Russia’s ‘genetic’ inability to move with the times. The last two centuries of Russian history follow an inevitable pattern: any attempt to introduce liberal-constitutional reforms (under Tsars Alexander I, Alexander II and Nicholas II, and later Mikhail Gorbachev and Boris Yeltsin) have invariably run into explosive internal conflicts along two power axes: ‘government-people’ and ‘centre-periphery’. There is nothing mystically inexplicable in Russia’s fatal attraction to the permanent suppression of political freedoms: political freedom corrodes harsh authoritarian regimes like acid, and the only way to halt this process is to ‘freeze’ the country, in other words to reject any democratisation and hence any comprehensive modernisation. Modernisation is, however, essential… and so yet another generation of Russians, entering yet another period of reformist disruption, face the same old dilemma: ‘Motherland or Freedom’? Or, to be more precise, what kind of Motherland to choose: united, indivisible and un-free; or free, but with the loss of some of its territory. Like the USSR before it, the Russian Federation (RF) is the only giant size country whose capital is a vast megapolis several times larger than any other city within its borders. The USA, Canada, Australia, India and China all have capitals that are not their major cities. And this is no coincidence, since even authoritarian giant countries aspiring to longevity aim for some administrative and economic decentralisation in order to avoid the ‘Imperial funnel’ syndrome. Here are a few comparative statistics. In 1917 the population figures for Russia’s largest cities were as follows: St Petersburg 2.3 million; Moscow 1.8 million (less by a factor of 1.3); Kiev 700,000 (three times less than that of the then capital). At the end of the 1980s Moscow’s population stood at 8.5 million. In 1988 Leningrad (the once and future St Petersburg) proudly declared its 5 millionth inhabitant (it later shrank a little but in September 2012 it crossed that threshold once more). So the proportional difference between the two largest cities increased from a factor of 1.3 to 1.7. The population of Kiev meanwhile was 2.6 million –the same size in relation to the capital as before the revolution. But if we look at Russia’s demographic distribution in 2012, we see that Moscow’s population has grown to 11.8 million and that of St Petersburg, less than half of that with 5 million. The third largest city of Russia, Novosibirsk, has fewer than 1.5 million inhabitants – an eighth the number of Moscow. The financial gulf between Moscow and other large cities is even more striking. In 2012 the capital has a budget of over 1.7 trillion roubles; St Petersburg’s coffers are almost four times smaller at 430 billion roubles and poor old Novosibirsk has to make do with 38 billion – 45 times less than Moscow! Moscow has more than half of all banks registered in Russia; the majority of large businesses are also registered and have their headquarters there, although their activities might take place thousands of kilometres away. The extent to which this suction effect, where the centre absorbs the country’s entire economic life and subordinates regional interests to those of its bureaucrats, has accelerated and become irreversible is clearly visible if one looks at air freight patterns in Russia between 1990 and 2010. As a result of the ever expanding diameter of the ‘Imperial funnel’, regional economic inequality shows a steady increase: the rich (especially Moscow) get richer and the poor get poorer. In some regions the situation looks, to put it simply, completely hopeless. According to the results of an Audit Office inspection in 2010, the republics of Dagestan and Tyva were 75% dependent on government funding, and Chechnya and Ingushetia – 90% dependent, and this situation has not changed for three years. This enormous economic gulf between ‘subsidised’ and ‘unsubsidised’ regions of Russia does not of course reflect a lack of willingness or inability to work on the part most Russian regional populations, but rather demonstrates the overall inefficiency and unfairness of the RF’s entire governmental apparatus. It is probably unnecessary to explain why in a hypothetical general crisis situation, the ‘national’ republics of the RF, where the majority populations are not ethnic Russians, will aim for independence, although of course the extent to which such centrifugal tendencies are visible today varies between republics. In terms of ethnic Russian regions, the people who show the greatest potential readiness to take discussions about political independence a stage further are the Siberians. This is also not surprising: in the first place, they have behind them an almost two hundred year tradition of ‘Oblastnichestvo’ (Regionalism) and in the second, they have massive mineral resources that currently fill the Kremlin’s bullion vaults. The situation is similar in the Far East, where the phenomenon of ‘fisherman separatism’ was first observed in the early 2000s. ‘Moscow has de facto revealed its intention of breaking the Far Eastern economy’, wrote the fishing business newspaper ‘Pacific Reporter’ at the time. ‘The far eastern fishing areas are being more and more pushed towards the idea of separatism’. Apart from the usual grievances about the Federal government, the Far East is being nudged towards separatism by its demographic situation. The region, which occupies a third of the Federation’s territory, has only 4% of its population - 6.2 million people. The population of the Primorsky (‘Maritime’) territory is two million, with 600,000 people living in its capital, Vladivostok. An article in ‘Kommersant-Vlast’ magazine recently brought attention to the disparities: ‘There are about 414 million people living within a 1,000km range of Vladivostok (in North Korea, South Korea, Japan and China) – an hour away by plane or nine by train. It is the only Russian city with such a powerful hinterland - fewer than one million people live within a similar range of Moscow. And the GDP of that zone around Vladivostok is around $7 trillion, more than four times that of the whole of Russia. And in such a rich economic zone, more than 20% of Primorsky’s inhabitants live below the poverty level.’ It is hardly surprising in this context that a few years ago Nikolay Matvienko, head of Vladivostok city council’s investment department, suggested renting out half the city to China. Similar ideas and aspirations are alive in most regions of the Russian Federation. The idea of a ‘Urals Republic’, proposed in 1993 but quashed by Boris Yeltsin, still lives on in the hearts and minds of the region’s intellectuals and social activists. In the Russian Far North government and security officials are expressing concern about a growing feeling of national identity in the White and Barents Sea area. In the Kaliningrad region, the historic East Prussia, The Baltic Republican Party may have lost its official status in 2003 and become the Kaliningrad Public Movement ‘Respublika’, but it continues to aspire to independence and reintegration in Europe. As for St Petersburg, its ambitions for political independence have since the mid 1990s taken a number of ideological and organisational forms, including the potential creation of a separate country to be known as either Ingermanlandia or the St Petersburg Republic. In the last few years separatist ideas have even taken hold in the capital, where supporters of Zalesia, so called after the medieval name for the region which includes Moscow, are proposing to move the regional capital to another city. Such was the conclusion of Mikhail Vinogradov and Andrey Yadykin of the ‘PROpaganda’ Centre for Communication Technologies a decade ago. They did qualify the statement by adding that all separatism in Russia, apart from that in Chechnya, was ‘at the present time’, marginal. The phrase ‘at the present time’ is of course key, for in a situation of general political crisis, marginal ‘centrifugal forces’ can very quickly become real and even invincible. One can, of course, regard such a prospect as a catastrophe, and make every attempt to avert it, up to and including a policy of isolation from the outside world, as with China at the time of the Qing dynasty, although this is extremely unlikely to happen in Russia today. The alternative is to take a different view of the future, by recognising that countries rise and fall, but regions remain. And so the task faced by Russia is not to attempt to patch up obsolete governmental structures that have long been falling apart at the seams, but to find new, more practical and contemporary, political garments, fit to inaugurate a new phase of human history.